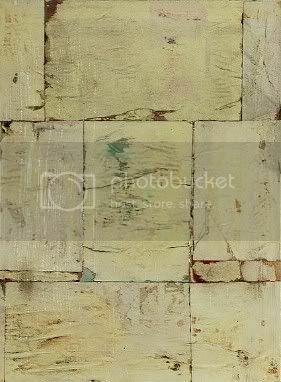 Wow I really like that, it appears to be worn pieces of plywood from the image you posted. I see a lot of similarities on yours and his work. isn't it buttery? we just missed his show at klapper gallery.....i believe in his latest work he took magazine imagery and distressed it so much that you barely recognize the source. yum.